Spring has sprung—it’s time to get cleaning! A thorough cleaning of your home will not only provide a fresh start to the season, it will also help to improve the energy efficiency of your home. 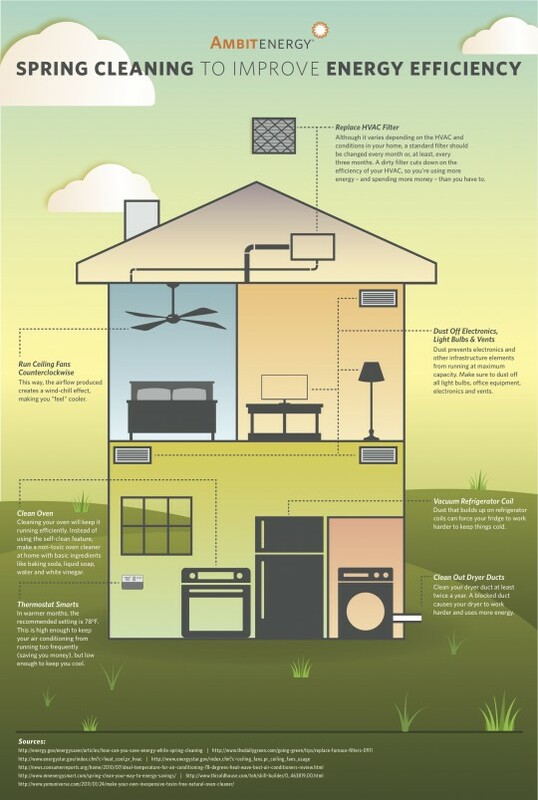 Check out this infographic from Ambit Energy for all the details on energy-saving spring cleaning.